The action of P.cubensis mushroom extract, containing psilocybin (PCB) and psilocin, on spike activity of hippocampal CA1 pyramidal neurons was studied in in vitro rat brain slices. In 38 (76 %) out of 50 investigated neurons spike activity was decreased, in 2 (4 %) cells it increased. There was no response 10 (20 %) neurons. Application of the extract caused short burst firing in 12 (24 %) neurons. All neurons showing inhibition during PCB-containing extract application, were also inhibited by serotonin (5-НТ). Usually inhibitory reaction did not last over 4 - 5 min upon 3 min extract application and could be prolonged up to 10-43 min up on serotonin application. Part of M. G. Moldavan, A. A. Grodzinskaya, E. F. Solomko et al. 22 ISSN 0201-8489 Фізіол. журн., 2001, Т. 47, № 6 neurons were inhibited by serotonin and did not react to extract application. Inhibitory reactions induced by extract application were blocked by ritanserin in half of the tested units and were induced due to activation of 5-НТ2 serotonin receptors. The extract suppressed excitative spike reactions caused by appli- cation of L-glutamic acid. It is concluded, that application of PCB-containing extract in most cases reduced spike activity in hippo- campal CA1 pyramidal neurons and suppressed gluta- mate transmission. Бабаханян Р.В., Бушуев Е.С., Зенкевич И.Г.,Казанков С.П., Костырко Т.А., Кузьминых К.С.Судебно-химическое исследование псилоцибин-содержащих грибов // Журн. суд.- мед. экс-пертизы.- 1998. - 41, N6. - C. 24-26. Бабаханян Р.В., Иванова Г.В., Костырко Т.А.,Сафрай А.Е., Ягмуров О.Д. Морфофункцио-нальные изменения внутренних органов при мо-делировании отравлений псилоцибинсодер-жащими грибами // Там же. - 1999. - 2, N3.- C. 6-9. Беккер А.М., Гуревич Л.С., Дроздова Т.Н., Бе-лова Н.В. Индольные галлюциногены псилоци-бин и псилоцин у Высших Базидиомицетов //Микология и фитопатология. - 1985. - 19, N5. -C. 440-448. Aboul-Enein H.Y. Psylocybin: a pharmacologicalprofile // Amer. J. Pharm. Sci. Support. PublicHealth. - 1974. - 146, N3. - P.91-95. Aghajanian G.K., Hailgler H.J. Hallucinogenicindoleamines: Preferential action upon presynapticserotonin receptors // Psychopharmacol. Com-mun. - 1975. - 1, N6. - P.619-629. Andrade R.. Regulation of membrane excitabilityin the central nervous system by serotonin receptorsubtypes // Ann. New York Acad. Sci. - 1998. -861. - P.190-203. Arvanov V.L., Liang X, Russo A., Wang R.Y. LSDand DOB: interaction with 5-HT2A receptors toinhibit NMDA receptor-mediated transmission inthe rat prefrontal cortex // Eur. J. Neurosci. -1999. - 11, N9. - P.3064-3072. Benjamin C. Persistent psychiatric symptoms aftereating psilocybin mushrooms // Brit. Med. J. -1979. - 6174. - P.1319-1320. 9. Buckholtz N.S., Zhou DF, Freedman D.X., PotterW.Z. Lysergic acid diethylamide (LSD) admi-nistration selectively downregulates serotonin2receptors in rat brain // Neuropsychopharma-cology. - 1990. - 3, N2. - P.137-148. 10. Corradetti R., Pugliese A.M., Le Poul E., LaarisN., Hamon M., Lanfumey L. Electrophysiologicaleffects of WAY 100635, a new 5-HT1A receptorantagonist, on dorsal raphe nucleus serotoninergicneurones and CA1 pyramidal cells in vitro //Acta Physiol. Hung. - 1996. - 84, N4. - P.407-409. Gartz J. Biotransformation of tryptamine deri-vatives in mycelial cultures of Psilocybe //J. Basic Microbiol. - 1989. - 29, N6. - P.347-352. Gartz J. Extraction and analysis of indole deri-vatives from fungal biomass // Ibid. - 1994. - 34,N1. - 17-22. Gasparini S., Difrancesco D. Action of serotoninon the hyperpolarization-activated cation current(Ih) in rat CA1 hippocampal neurons // Eur. J.Neurosci. - 1999. - 11, N9. - P.3093-3100. Lassen J.F., Lassen N.F. Skov J. Consumption ofpsilocybin-containing hallucinogenic mushroomsby young people // Ugeskr. Laeger. - 1992. - 154,- P.2678-2681. Lombardi G., Gandolfi O., Dall’dio R., Pellegrini-Giampietro D., Beni M., Carla O., CansolazioneA., Maroni F. Lesioning and recovery of the seroto-ninergic projections to the hippocampus. BrainRes. - 1987. - 411, N2. - P.275-284. McCall R.B. Neurophysiological effects of halluci-nogens on serotonergic neuronal systems // Neuro-sci. Biobehav. Rev. - 1982. - 6, N4. - P.509-514. McMahon L.L., Kauer J.A. Hippocampal inter-neurons are excited via serotonin-gated ion chan-nels // J. Neurophysiol. - 1997. - 78, N5. - P.2493-2502. Parashos A.J. 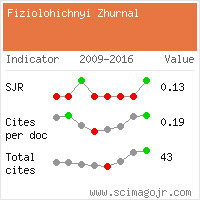 The psilocybin-induced «state ofin normal volunteers and schizo-phrenics // Behav. Neuropsychiatry. - 1976. - 8,N1-12. - P.83-86. 19. Pugliese A.M., Passani M.B., Corradetti R. Effectof the selective 5-HT1A receptor antagonist WAY100635 on the inhibition of e.p.s.ps produced by5-HT in the CA1 region of rat hippocampal slices// Br. J. Pharmacol. - 1998. - 124, N1. - P.93-100. 20. Sandler V.M., Ross W.N. Serotonin modulates spikebackpropagation and associated [Ca2+]i changesin the apical dendrites of hippocampal CA1 pyra-midal neurons // J. Neurophysiol. - 1999. - 81, N1.- P.216-224. Spengos K., Schwarts A., Hennerici M. Multifocalcerebral demyelination after magic mushroom abuse// J.Neurology. - 2000. - 247, N3. - P.224-225. 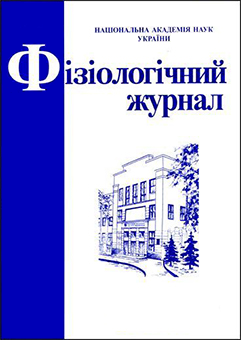 6 № ,74 .Т ,1002 ,.нруж .лоізіФ 9848-1020 NSSI23thetized, unrestrained rats // J. Pharmacol. Exp.Ther. - 1999. - 288. - N2. - P.843-848. Trulson M.E., Heym J., Jacobs B.L. Dissociationsbetween the effects of hallucinogenic drugs onbehavior and raphe unit activity in freely movingcats // Brain Res. - 1981. - 215, N1-2. - P.275-293. Vollenweider F.X., Vontobel P., Hell D., LeendersK.L. 5-HT modulation of dopamine release inbasal ganglia in psilocybin-induced psychosis inman—a PET study with [11C]raclopride //Neuropsychopharmacology. - 1999. - 20, N5. -P.424-433.